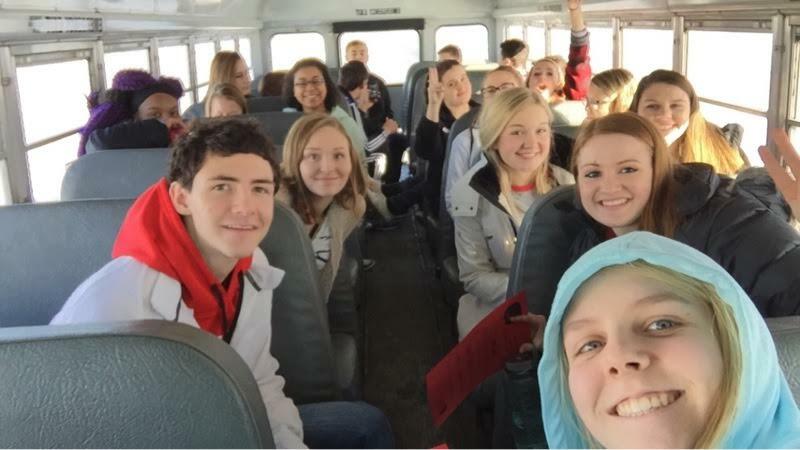 Slinger High School students traveling to the Kindness Retreat. On Thursday, February 11th, about 20 students from Slinger High School, along with a couple students from Kettle Moraine High School, went to Addison Elementary. The Addison 4th graders were joined by Allenton and I-4 learning students as well. 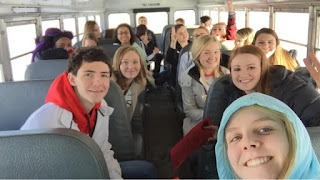 The High School students were in Peers4Peers, Student Council, Class Officers, or were asked to join. 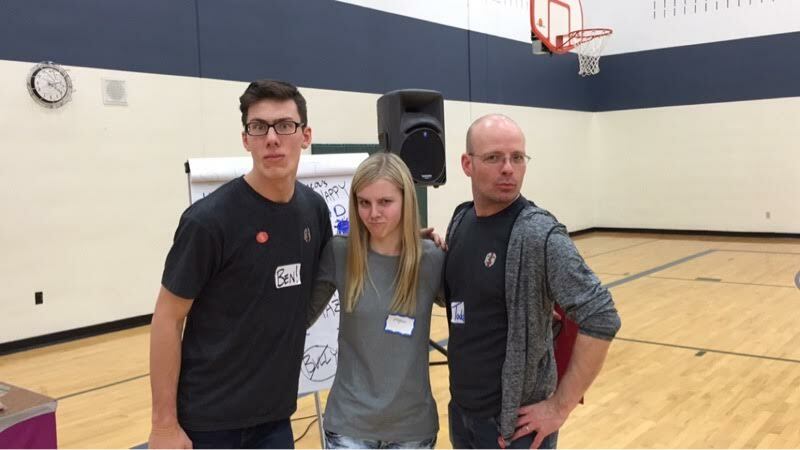 I spoke with Meghan Mack, a Slinger High School sophomore, who gave me the inside scoop on this “Kindness Retreat”. Meghan told me they started their day at 9:30am when the kids entered school. They were given high fives and cheered on by the High Schoolers. There were about 20 High School students and around 140 4th graders. Meghan said they focused on talking about bullying and why it happens. The group made sure that they were teaching the kids how to improve the school and stop bullying. They made sure no one felt alone throughout the day and played games to learn everyone’s names. The High Schoolers got the students engaged when they all danced to the Cupid Shuffle. Meghan told me her favorite part of the day was dancing and singing to “Let It Go” from Frozen with the kids, but overall, she loved to see the kids have fun. Meghan Mack with the retreat organizers.